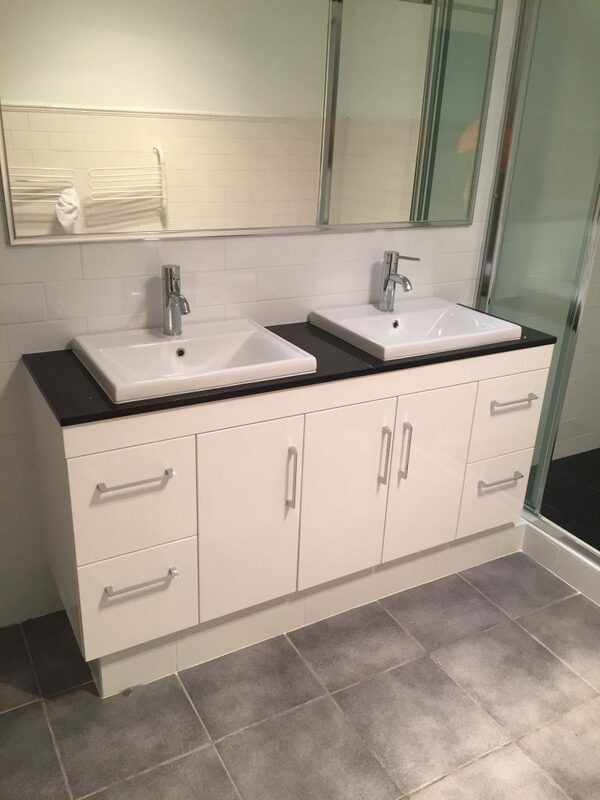 Our client, located in Wundowie, Perth, contacted the AAS Renovations team as she needed her shower waterproofed, retiled, new toilet and vanity renovated. You don’t need to change everything in your bathroom to give it a fresh new look. In this case, we left the floor tiles and spa bath untouched and gave the room a fresh new look with a coat of paint. The scope of our completed works was as follows. Please note – with no robe installation work, the wall behind the door will be left as is. 2. Repair/replace rusted section of metal wall frames. Once the wall sheets were removed we found that the metal studs and bottom metal plate were rusted out at the bottom and no longer providing fixing for the new wall sheets. Extra work required to rectify this needs to be done in order to move on with the bathroom renovation. Remove bottom row of weatherboards. Cut out rusted sections and remove. Supply and install new studs and bottom plate to bottom section. Supply and install new weatherboards to bottom row. Inspired by this transformation? Find out more about our bathroom renovation services and how we can improve the quality of your space. If you have any queries, contact us today.